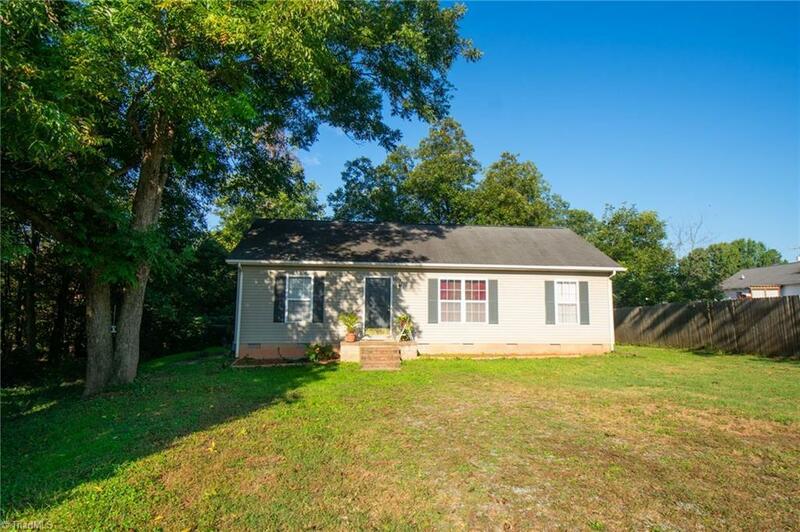 Adorable 3 bed 2 bathroom home near down town Gibsonville. This home offers a split bedroom floor plan, and open concept with the living, dining, and kitchen areas. It even has its own laundry room! The .75 acres allows for gardening, room for pets to run, cookouts, and much more! Start the new year in a new home!